Abstract: Non-ideal shock waves at the trailing edge of supersonic high-pressure turbine vanes for ORC applications are studied numerically using the open-source SU2 solver coupled with mesh adaptation. Flow separation at the trailing edge of ORC turbine, where a supersonic Prandtl-Meyer expansion occurs, generates a limited region of separation between the supersonic flows on the pressure and suction sides of the blades. The merging of these two supersonic regions results in the formation of compression waves that eventually form a characteristic shock pattern comprising two oblique shock waves, called fish-tail shocks. The present investigation follow the study of Andrew Wheeler et al.~(NID 2016), where the authors focused on non-ideal compressible-fluid effects on the flow turning angle resulting from the Prandtl-Meyer expansion, which influences the shape and size of the downstream recirculating region. Here, the downstream process of coalescence into oblique shock waves is studied numerically to determine whether non-ideal shock waves can be observed in typical ORC operation. 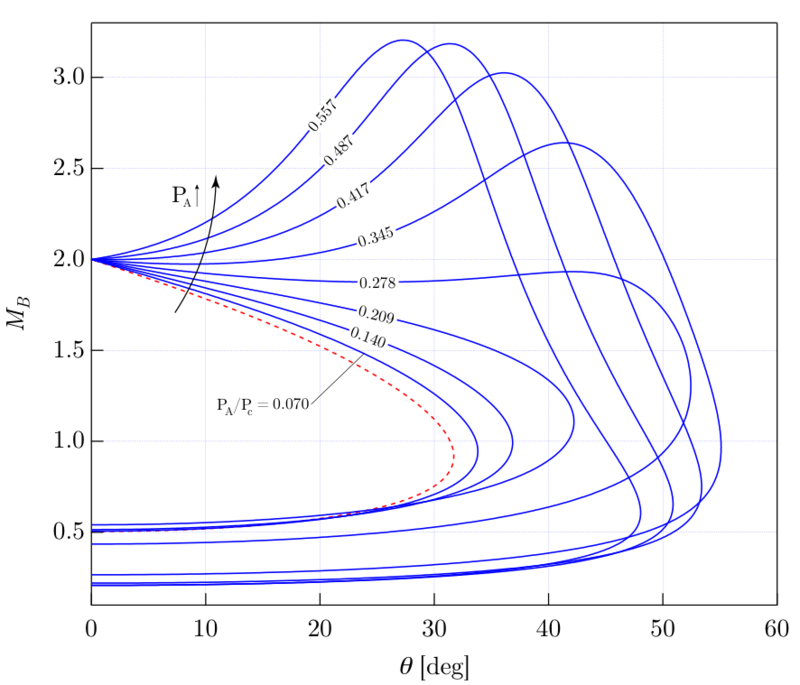 Non-ideal shock waves are possible only if the fundamental derivative of gasdynamics is less than unity and are characterised by the increase of the flow Mach number across the shock wave. The accuracy of the numerical tool is first assessed against a experimental results over a simplified backward-facing step geometry. 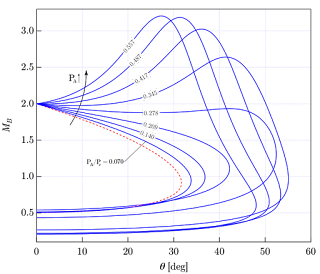 Then, numerical simulations are carried out to determine the occurrence of non-ideal oblique shocks in conditions typical to ORC applications. Experimental results regard supersonic expanding flows of siloxane fluid MDM (Octamethyltrisiloxane, C8H24O2Si3) around a 90° corner. The Mach number is around 1.1 and the compressibility factor Z ~ 0.75.